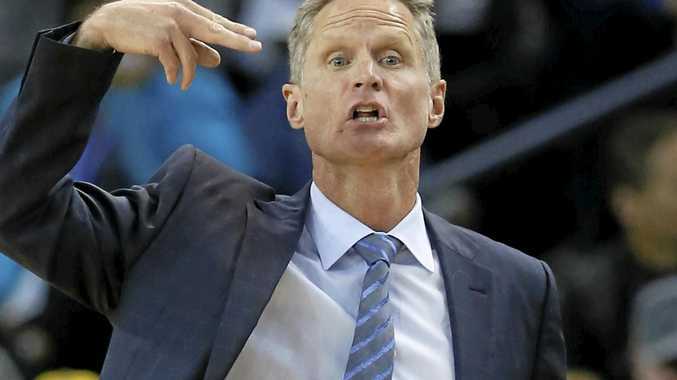 BASKETBALL: Medicinal marijuana is illegal under US federal law and against the rules for players in the NBA, NFL and Major League Baseball, yet Golden State Warriors coach Steve Kerr said he would prefer it to some other pain medications. Kerr, 51, who had two back surgeries in 2015, said he had experimented with marijuana and said the sporting authorities should reconsider their opposition to it. "I'm not the expert on this stuff,” he told The Warriors Insider Podcast. "But I do know this: If you're an NFL player, in particular, and you've got a lot of pain, I don't think there is any question that pot is better for your body than Vicodin. "And yet athletes everywhere are prescribed Vicodin like it's vitamin C, like it's no big deal. "Vicodin is not good for you. It's way worse for you than pot, especially if you're looking for a painkiller and you're talking about medicinal marijuana, the different strains what they're able to do with it as a pain reliever.